If you're a human being currently living in the United States, the Powerball is probably all anyone around you can talk about. With an astonishing $1.5 billion jackpot, it seems like the answer to all of life's problems — the quick end to debt, desire, and instant mac 'n' cheese dinners. However, while anyone can win (even non-American tourists or undocumented immigrants), not everyone has the same opportunity to get their ticket to paradise, especially if you live in a state that doesn't play the game. And you might be surprised by which states don't participate in the Powerball. If you live in one of the 44 states (plus Washington D.C., Puerto Rico, and the U.S. Virgin Islands) that do play the Powerball and haven't gotten your ticket yet, you could face some ridiculously long lines. Then again, that's still easier than driving across state borders to buy one. And if you decide not to play at all, that's perfectly OK. After all, the whole thing might just be a smokescreen for economic inequality. How lovely. But whether or not you'll be waiting with bated breath to hear the winner tonight, here are the six states that refuse to participate in the Powerball. Some of them may be more surprising than others. I know. I'm just as confused as you are. Who would have guessed that the gambling capital of the country would be so averse to a gamble of this scale? Well, it turns out that Nevada has a full ban on all lotteries because of a 50-year-old decision by the state legislature. The only exception is for school charity drawings, and even those undergo strict scrutiny. The legislature thought that the more money people spent on lotteries, the less they would spend in casinos. In 2009, a measure was passed in the Nevada's state assembly to allow lotteries, but it did not pass in the state senate, largely due to the massive influence the casino industry has in the state. Like Nevada, Mississippi has grown into a gaming haven of its own, and casinos and their supporters don't want lotteries to diminish their profits. What's so interesting about Mississippi, though, is that the people opposing legislative efforts to allow lotteries are doing so for very different reasons. Casino supporters fear competition, while conservative members of the state legislature really don't want a pro-gaming vote on their record. 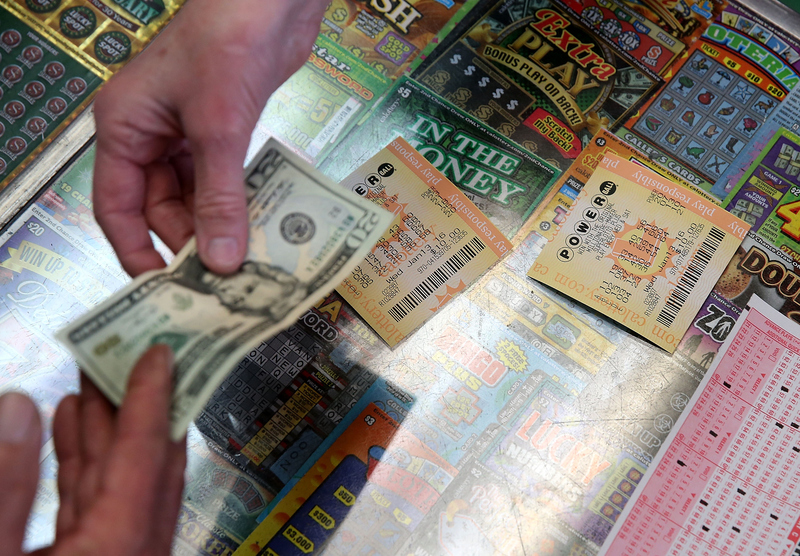 Sorry, Mississippians; you're probably not going to get a lottery for a while. I believe gambling is wrong, but I also believe God will still love me, and I don't know a preacher that would turn that kind of money down if I gave it. Home to the largest population of Latter-Day Saints in the country, Utah's gambling legislation reflects the Mormon religion's disdain for the activity. However, gas stations in neighboring Wyoming and Idaho have been flooded with Utah residents looking for Powerball tickets. Almost everyone everywhere wants in on this. Former U.S. Sen. Daniel Inouye believed that gambling would hurt his home state's image, and attract a "different type of people" than the families and young honeymooning couples Hawaii proudly welcomes. Though Inouye died in 2012, Hawaii still bans gambling, and continues to be a destination devoid of lotteries and casinos. It seems that Alaska feels less of an urgency for the profits derived from lotteries because of its lucrative oil drilling industry. Many states use lottery revenue for public schools and environmental programs, but Alaska manages to give a dividend of between $800 to $2,000 to each of its residents every year without it.